Welcome to (almost) baseball season! We are 43 days away from the Sounds’ Opening Night — Thursday, April 9, at Colorado Springs — and 51 days away from Opening Night at brand-new First Tennessee Park — Friday, April 17, vs. Colorado Springs. What a fun season this is going to be…a tremendous new ballpark and a talented new affiliate (Oakland A’s) to go with the affordable family entertainment the Sounds have always provided. And I’m very excited to bring it your way on the radio all season long! Earlier today, the Sounds and 102.5 “The Game” officially announced they’ve extended their partnership for the 2015 season, and 102.5 The Game will continue to be the Sounds’ flagship radio station for game broadcasts, which it’s been since 2012, which happened to be my first season in Nashville. A copy of the Sounds’ press release is italicized below, but the short version is that the format for the broadcasts remains the same as last year. Nearly every single game of the 144-game schedule will air on 102.5 The Game, with the exceptions being when Sounds games conflict with Nashville Predators hockey (2 regular-season Preds games plus post-season). On those dates, the Sounds will air on 94.9 “Game 2” as last year. One element of the broadcasts I’m really excited about is the addition of Kevin Jarvis as an analyst on select dates. Jarvis enjoyed a 15-year playing career, including parts of 10 years in the major leagues and a brief stint with the Sounds (’04), and he’s been involved with professional baseball for 25 years. He will bring a unique and fun perspective to the broadcasts on the dates where his busy schedule will allow him to be alongside. I’m looking forward to having him, and I know you’ll enjoy him. 102.5 The Game is simulcast in Rutherford County on 97.5-FM. So if you live or spend a lot of time in the Murfreesboro area, 97.5 will bring you Sounds baseball loud and clear. See you (and talk to you) in a matter of weeks! NASHVILLE, Tenn. — The Nashville Sounds Baseball Club is excited to announce an extension of its partnership with 102.5 “The Game” (WPRT-FM) as the team’s flagship station for game broadcasts during the 2015 season. The Game, which has served as the team’s flagship station since 2012, will air all of the Sounds’ 144 games over the airwaves with nearly all on 102.5 FM and select games on 94.9 FM “Game 2” in 2015. “We are thrilled to continue broadcasting the Sounds games on our stations. We’ve seen the excitement First Tennessee Park has generated for the Nashville community and as a local business, we’re proud to be involved,” said Jana Hampton, general manager of 102.5 The Game. Sounds broadcasts which will be pre-empted from 102.5 FM and will instead air on 94.9 FM include: April 9, April 11, and any Nashville Predators playoff games that conflict with the Sounds’ schedule. All game broadcasts will also be available to Sounds fans via a live internet webcast based at http://www.nashvillesounds.com as well as on mobile devices using The Game’s app or the TunedIn Radio app. Jeff Hem, the “Voice of the Sounds,” will be behind the microphone for all broadcasts during his fourth season in the Music City. Kevin Jarvis, who appeared for 10 Major League teams during his 15-year pro career and also pitched for the Sounds in 2004, will join select broadcasts as color commentator this season. Broadcasts will begin approximately 15 minutes prior to game time and will include a postgame show. The Sounds enter their first season as the Oakland Athletics’ Triple-A affiliate in 2015. The partnership will also include the annual broadcast of the Triple-A All-Star Game, which is slated for July 15 in Omaha, Nebraska. 102.5 The Game’s baseball coverage also includes broadcasts of ESPN’s “Sunday Night Baseball” when there isn’t a conflict with a Sounds broadcast. The station also serves as the flagship station for the NHL’s Nashville Predators and airs Middle Tennessee State University football and men’s basketball games, and is simulcast on 97.5 FM in Rutherford County. The Sounds kick off their 2015 season with an April 9th road contest in Colorado Springs and will host 72 home games at brand-new First Tennessee Park in 2015, beginning with the 7:05 p.m. home opener against Colorado Springs on Friday, April 17th. Please visit http://www.nashvillesounds.com for a game schedule and complete information on ticket packages for the inaugural season at First Tennessee Park. Tonight the Sounds continue their four-game series against New Orleans. Taylor Jungmann (3-4, 6.17) faces Adam Conley (2-2, 4.08). First pitch on 102.5 The Game is set for 6:35 with pregame at 6:20. Tonight’s interview is with Sounds third baseman Jason Rogers, who made his Sounds and Triple-A debut last night by going 2-for-3 with two RBIs after coming up from Double-A Huntsville. 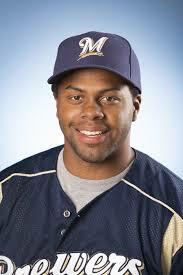 He discusses his Sounds debut, his start to the year at Huntsville, his transition back to third base where he played in college and his great and long 2013 after which he was named Brewers Minor League Player of the Year. Today the Sounds continue their four-game series in Utah and eight-game road trip with Game 2 against the Salt Lake Bees. It’s Tyler Cravy (8-1, 1.72 at Double-A) making his Sounds debut opposite Caleb Clay, who makes his Bees debut. First pitch is 2:05 CT on 102.5 The Game with pregame at 1:50. You can also listen via the TuneIn Radio or iGoRadio apps. 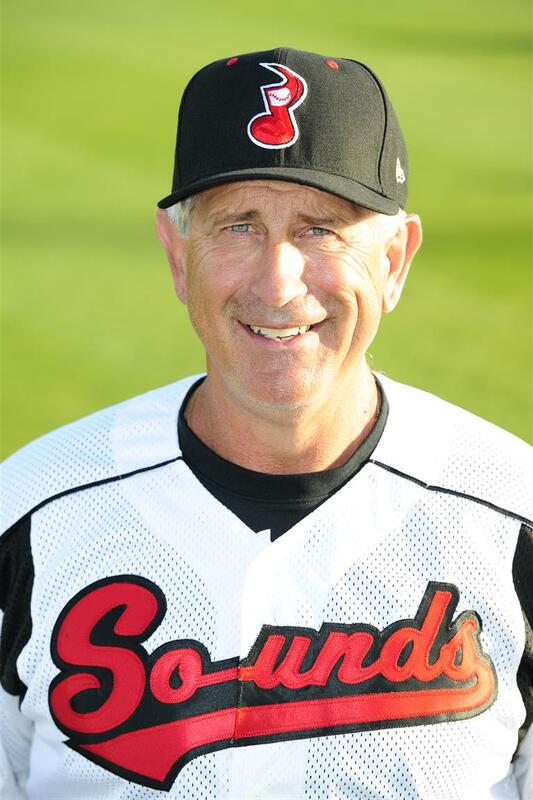 Today’s interview is with Doug Melvin, the general manager of the Sounds’ parent-club Milwaukee Brewers. The big league club is somewhat nearby in Denver taking on the Rockies, and Melvin was on hand last night to watch Jimmy Nelson and the Sounds get a win. 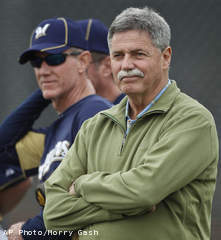 He discusses the Brewers’ and Sounds’ season so far, the pitching of Nelson, the play of Logan Schafer and Jeff Bianchi, and how he feels the organization’s minor league system has performed so far. The Sounds continue their eight-game road trip with Game 2 in Las Vegas. First pitch is 9:05 p.m. CT with pregame at 8:50 on 102.5 The Game. You can also listen on the TuneIn Radio or iGoRadio apps. Taylor Jungmann (2-3, 6.12) faces Logan Verett (5-2, 4.79). 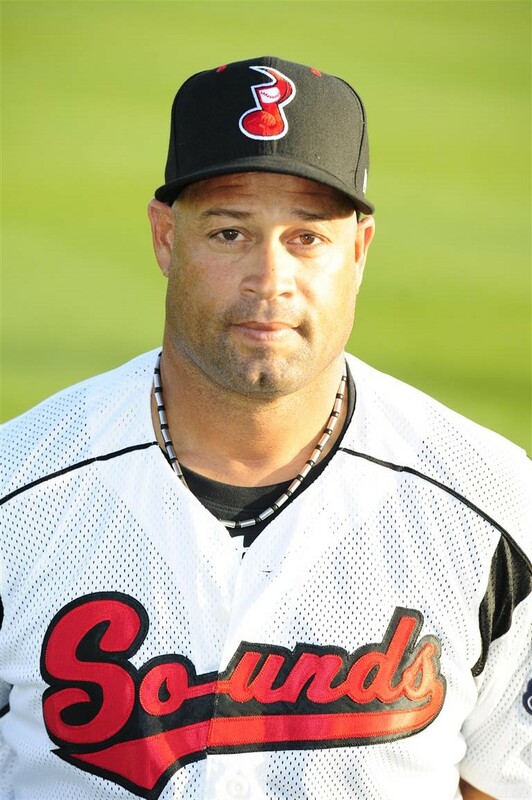 Tonight’s interview is with Sounds pitching coach Fred Dabney, who discusses the Sounds’ loss of Brad Mills (traded Tuesday to Oakland), the addition of Tyler Cravy (up from Double-A Huntsville, debuts for the Sounds Sunday), the recent excellent work by relievers Dustin Molleken and Jeremy Jeffress, and pitching in hitter-friendly Las Vegas. The Sounds conclude an eight-game homestand tonight at Greer as they play the finale of a four-game set against the Tacoma Rainiers. It’s Jimmy Nelson (7-1, 1.51) against Andrew Carraway (2-4, 4.99). First pitch on 102.5 The Game is set for 7:05, and pregame starts on 6:50. You can also listen via the TuneIn Radio and iGoRadio apps. Tonight’s interview is this week’s installment of “Mondays with the Manager” with Sounds skipper Rick Sweet. He discusses the team’s struggling offense (.231 team batting average in June), the recent roster moves involving Logan Schafer and Irving Falu’s return to the Sounds, and the upcoming eight-game road trip to Las Vegas and Salt Lake. Tonight the Sounds go for a four-game sweep of the Reno Aces before Tacoma comes in Friday to continue the eight-game homestand. It’s Michael Blazek (0-3, 4.86) starting for the Sounds tonight in the spot of the recently-promoted Mike Fiers, and Lucas Harrell (3-0, 3.89) goes for the Aces. Coverage on 102.5 The Game starts at 6:50 with a 7:05 first pitch. 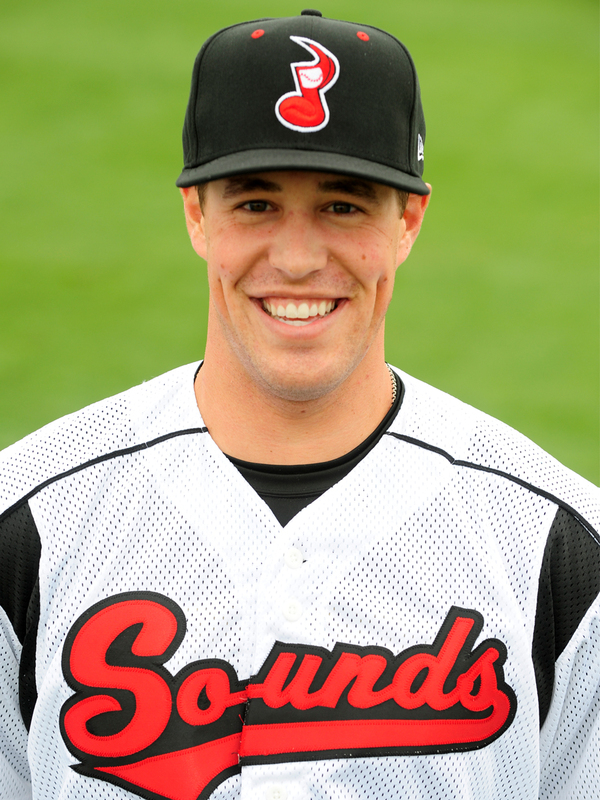 Tonight’s interview is with former Sound Blake Lalli, who is now a Reno catcher in the D-backs system after playing in 82 games for the Sounds last year. He discusses his ’13 with the Sounds and Brewers, facing some former teammates as a hitter and a catcher, and his season so far with Reno.